Subliminal: (of a stimulus or mental process) below the threshold of sensation or consciousness; perceived by or affecting someone's mind without their being aware of it. ﻿Yet I'm the one who gets blamed for thinking of Paris all the time! 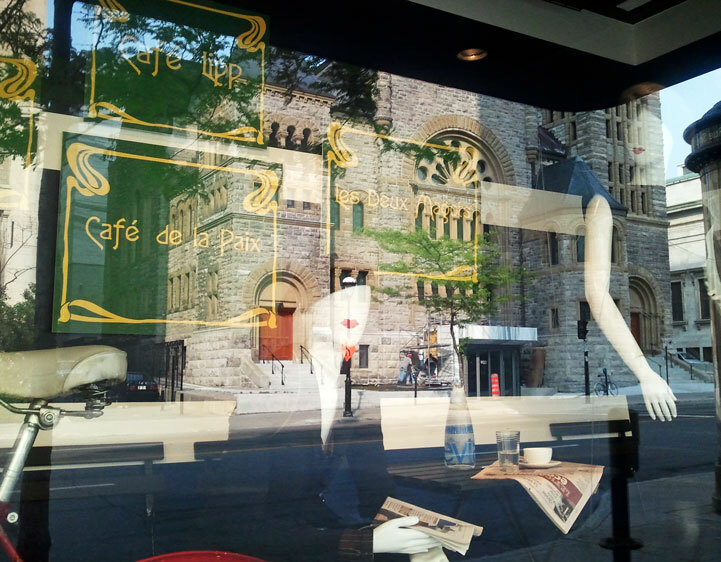 This Montreal window is telling me "don't bother to shop here. Go to Cafe de la Paix or the Lipp and enjoy yourself". Even the dummies are no dummies! Message received loud and clear!